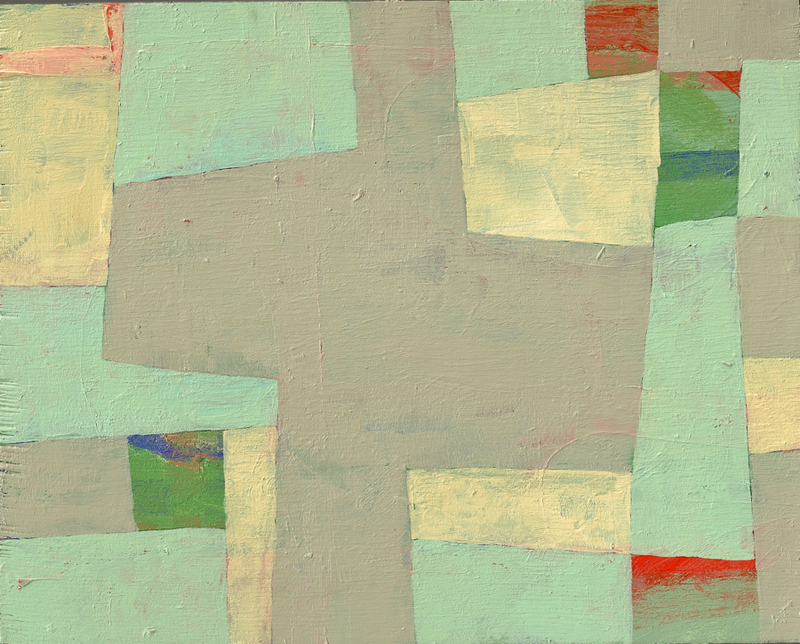 This is one of the paintings out of Brenda's new series she has been working on this winter. Available here. I really love these paintings for the subtle harmony of color along with the space she creates with in these tightly constructed compositions. To me they bring to mind the west coast painter Richard Diebenkorn in the way some of them have the suggestion of an airy landscape. Brenda sold her first painting through Etsy just yesterday which is a feat to celebrate since it can be difficult to break through the incredible clutter in the cyber world of Etsy.com. The paintings she has been working on so far are small, painted on 8x10 3/4 inch wood panels. She has just begun to develop a group of 30x40 inch cradled wood panels along the same theme but in a larger scale. Stay tuned into her blog and Etsy shop so you can chart the progress of her winter painting adventure to bring light and color into a bleak Michigan winter.